Basecamp Classic: Can I create sub-projects in Basecamp Classic (i.e., a project within another project)? 1. Go to your People tab and click the link to add a new company. Don’t add any users to this company. click the People & Permissions tab. 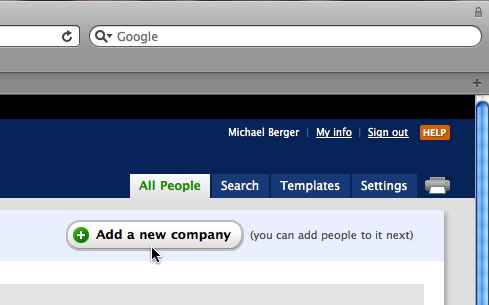 Next click the “Add people, remove people, change permissions” link to add the “Legal” company you just created to the project. Then choose the company you just created and add it to the project. 4. Now you’ll want to make this company the primary company for this project. 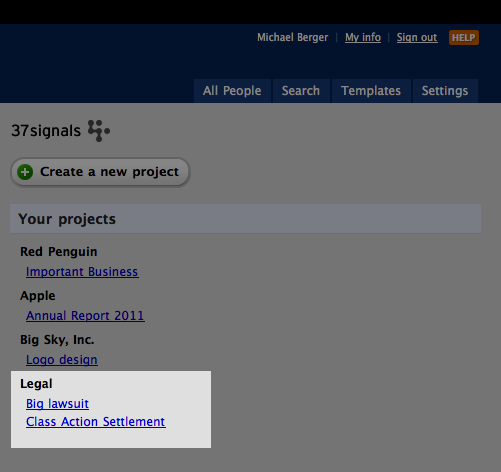 To do this, click the “Project Settings” link in the upper right of the screen. 5. 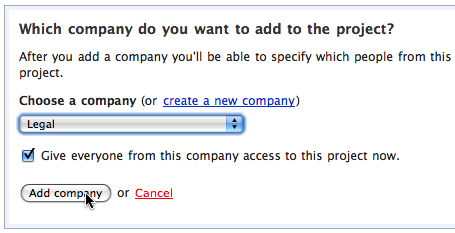 Go to the section that says, “Select the primary company for this project” and choose the company you just created. This method lets you group your projects under an umbrella label and access them easily in one location. NOTE: People in companies you add to your system cannot be admins. They won’t have the same rights and privileges as admins in the primary company, nor will they see To-Dos or Calendar tabs on their Dashboard.